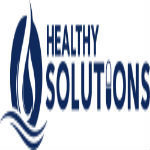 At Healthy Solutions™, LLC we have years of experience in the natural wellness industry, nutraceutical industry and skin care industry in Scottsdale, Arizona USA. Our QC Laboratory is stocked with an impressive array of quantitative and qualitative analytical instruments. From aerobic bacteria to arsenic, we’ve got you covered. Tour our cGMP compliant facility to experience the Healthy Solutions difference first hand.